Dikoi Village Council (DVC) has expressed dismay with the Nagaland Police personnel for restraining villagers Thursday afternoon, while heavily armed Assam Police personnel damaged houses and confiscated construction materials in the village. According to DVC chairman Zandi Domia and general secretary Veshekho Cho-o Nagaland Police under the command of SDPO, Dimapur with back up from IR personnel went to Dikoi Village at around Thursday noon. They said the Nagaland Police personnel restrained the villagers when heavily armed Assam Police force arrived at the village at around 2.30 p.m. and began damaging more than ten houses. After damaging the houses, they said the Assam police personnel confiscated CGI sheets and other construction materials which were bundled in a Tata mobile truck and carried away. DVC accused Nagaland Police and IR of doing nothing to stop Assam police personnel. The village council has asked the police department to take necessary action against the SDPO and to ensure that adequate compensation was paid to the affected villagers whose construction materials were seized and carried away by the Assam Police. 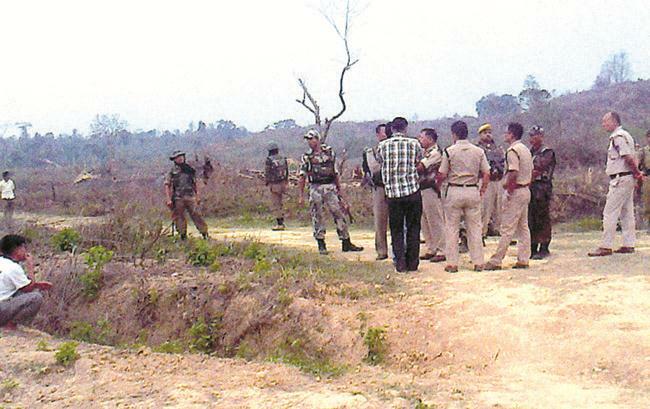 Further, DVC also questioned the Dimapur district administration for failing to take action in preventing the intrusion of Assam Police into Dikoi village. The village council also warned that if the authorities failed to take up any action, the villagers would resort to own action and for which the authorities would be held responsible.